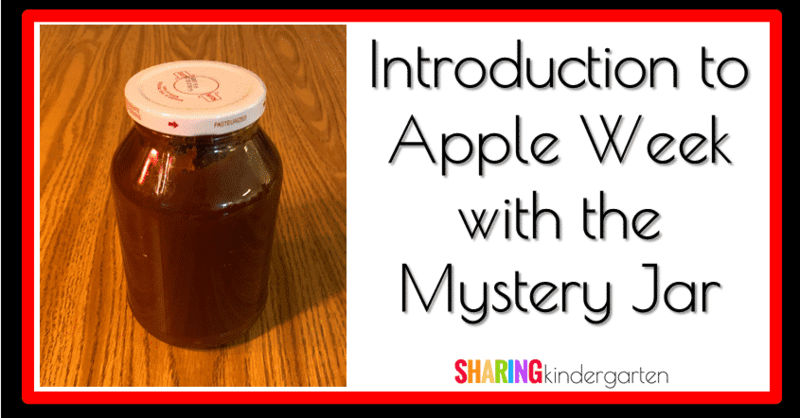 This past Friday we had an introduction to Apple Week with the Mystery Jar. Say what? Let me explain. 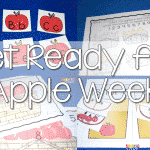 We has a blast stepping into apple week this year with a super fun introduction lesson. 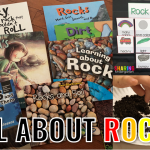 I want to share it with you so you can take this idea and turn it into learning fun into your classroom as well. How? Well, it all started with a mystery jar. 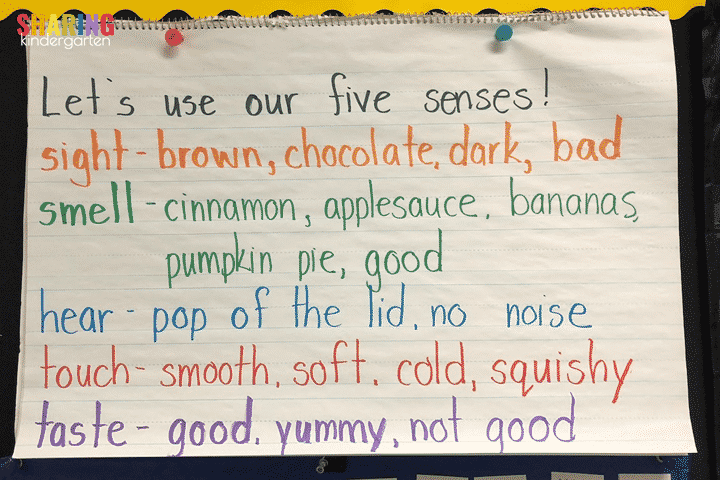 The week before, we talked a lot about our five senses. 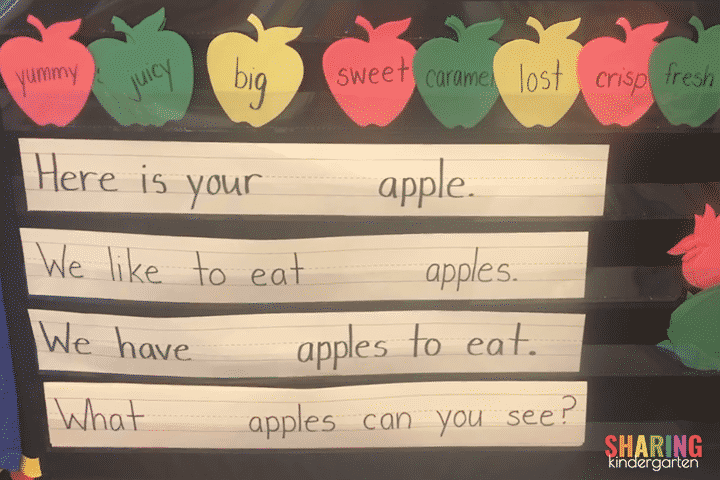 Since I knew this week we would cover apples, I told my students we would be talking a lot about five senses last week THEN testing them out the next week. 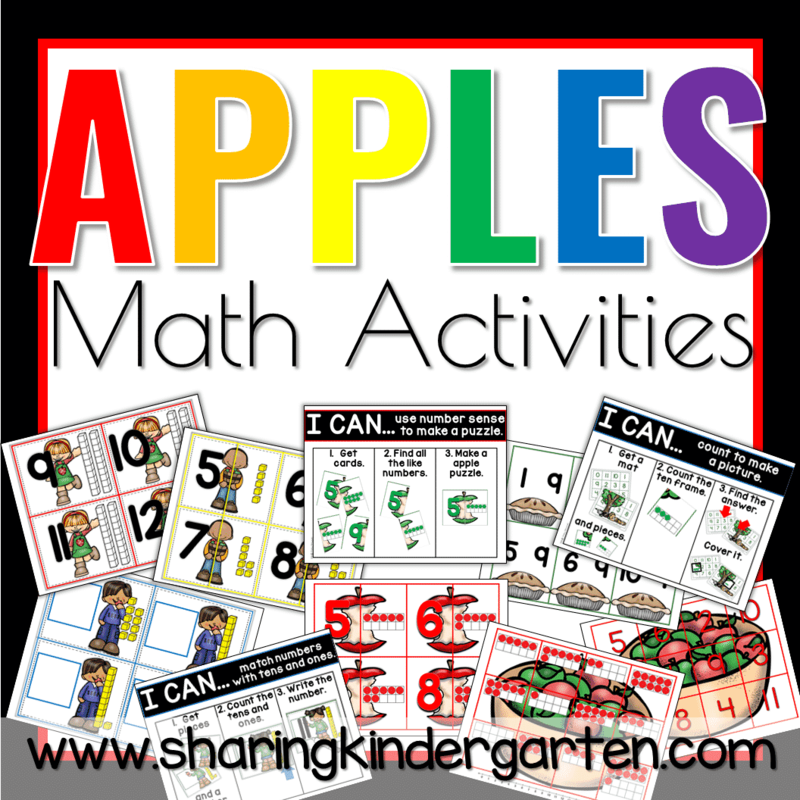 I wanted to bridge five senses to apples in a fun way. Here is the lesson plan I came up with. I also knew we were talking about describing words. Five sense… apples… describing… the puzzles pieces are coming together. Why not throw in some ELA standards as well. 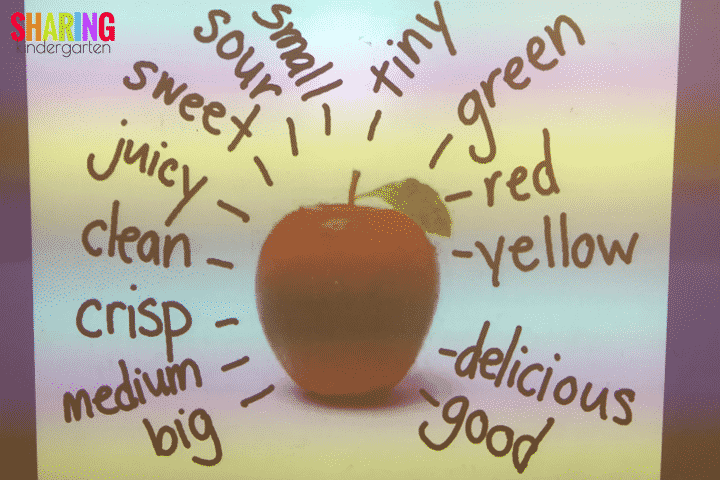 I knew I needed to find a food item to hook my learners so we could use our five senses to lean towards apples. This mystery item needs to look a little different. I hoped it would be something most, if not all, my students have never seen before. It also had to actually be good to eat! These kids trust me to not feed them grossness. A trip to the grocery store helped me to find the perfect substance. I made sure to remove the label for those good readers. I introduced my students to the jar. Their eyes were instantly hooked. WHAT IS IT? How could they figure out what it is? Did they want to find out what it is? No one knew what the jar contained… but man did they want to find out. I asked how we could learn what was inside the jar, since it didn’t have a label on it. We decided to use our five senses to discover what the mystery jar contained. We made this chart to describe our thoughts using our senses. As you can see, many of these qualities we found were, in fact, describing words. We began using our five senses to write out what we found. We started with sight, then moved onto smell. (I opened the lid and only let them sniff the lid. This was in case we had a sneeze or cough. I figured this would keep our jar germ free.) Then, we move towards hearing. We did all these in whole group on our carpet. This was because this is where we were charting. I did not feel all my students could go through all these steps with their plate in front of them without eating it! Discovery #1- Our sense can lead us to describe! This is the moment some of my students couldn’t wait for! Others did not want this moment to come. I dished out the mystery substance onto plates. (I couldn’t find the spoons, but I could find the forks, so we just went with it.) I spooned it (okay I forked it) out onto plates. Next, we used our sense of touch to feel the mystery substance. Then, we charted those findings as well. Finally, we decided to EAT this substance. I had a few hesitant eaters so I made a point to take a fork full in front of them and eat it. A few mouths opened in shock. Yes, I put this brown, squishy, wet, pumpkin pie smelling THING in my mouth. I actually videoed the moment of tasting for my families to see. It was amazing. Most of my students loved the mystery substance. 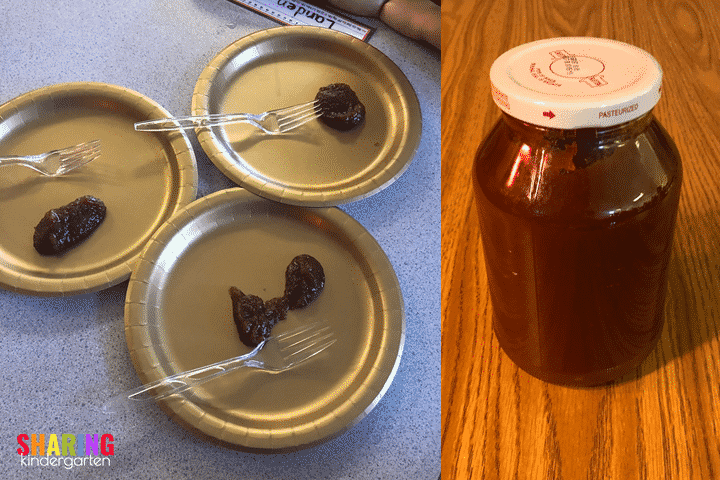 A few students did enjoy it, but everyone agreed that it wasn’t gross… just different. Most of my students BEGGED me to give them more. What is the mystery substance? It tasted like apple sauce… but a little different. Why? The mystery substance was APPLE BUTTER. Discovery #3- Sometimes it is GOOD to try new things. Now, my students were hooked. Something different from apples? Can we use apples for other things? 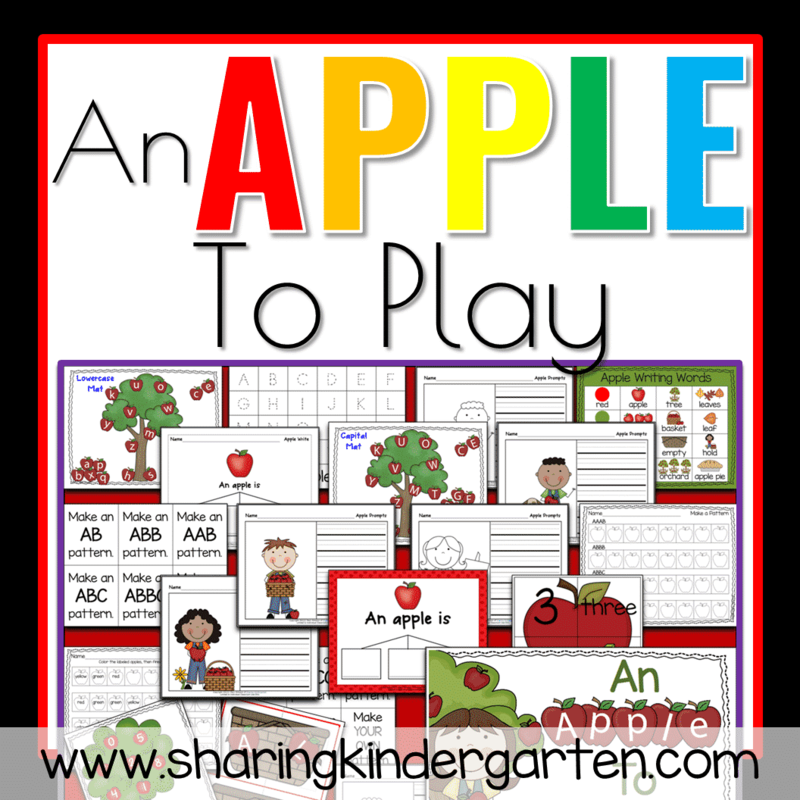 I lightly suggested we dive into the idea of learning about apples next, and they actually cheered! They were hooked. Apples were not only cool, they were also interesting. 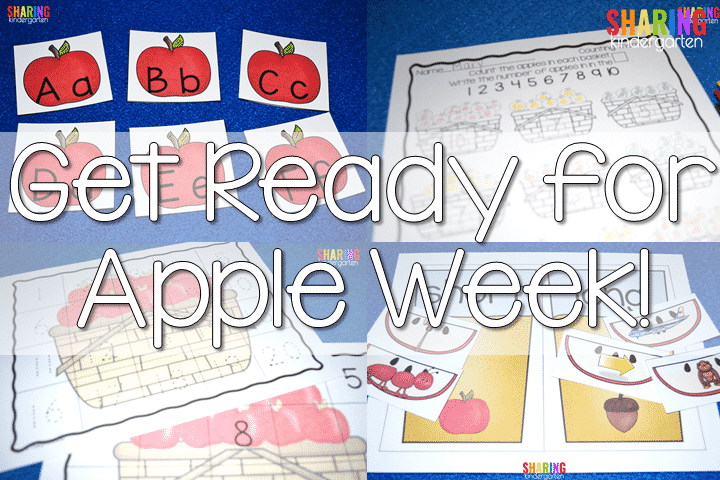 This week, we took our apple sampling to next level. We used the ideas from our five senses to describe an apple. Here is some of our descriptions we wrote down. Now that we pinpointed some great describing words, we need to use these words in sentences! You can see some of our great describing words integrated into sentences that features some of our current sight words. 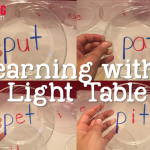 Now we can work on reading repetitious sentences with our sight words while adding describing words! 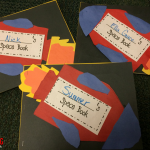 Our next step is to take these sentences and turn them into our own little books! We are going to become authors and illustrators to make same great writings and match our illustrations to our describing words that we wrote. This is a work in progress. Need some more apple ideas? 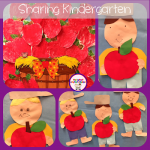 Click here for apple ideas! 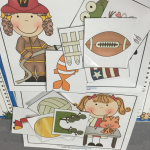 Need some printables for learning fun?